Cigniti’s Functional Testing Services ensure the verification and validation of applications for independent software vendors and enterprises. The functional testing services focus on testing the applications against defined specifications and meeting the end user expectations for functionality. Cigniti engages with clients in the different stages of the lifecycle to align the testing objectives against the overall business goals. Cigniti introduces early testing in the life cycle to prevent defects and detect defects early to reduce the overall testing costs, rework costs and improve quality. Cigniti’s functional testing approach is well structured and leverages proven industry standard testing techniques, tools, pre-built test accelerators, and methodologies. Our regression testing approach ensures that the new features or enhancements do not cause any unintended impact to the existing quality of applications. Cigniti’s functional testing methodology leverages the best in breed of test experts and practices to provide a complete & comprehensive coverage of functional specifications. The test experts have extensive experience in conducting testing in multiple application lifecycle models like waterfall, agile, iterative etc. All test services are customized to fit the client’s lifecycle model and environment to offer a seamless integration with the teams for new and legacy applications. 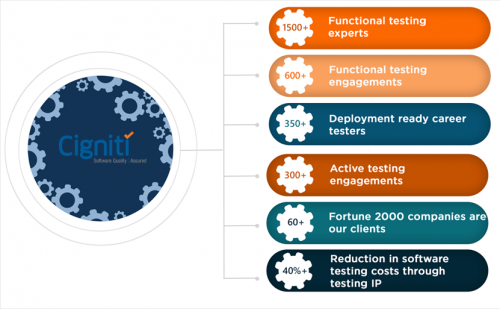 Cigniti’s test experts bring comprehensive experience across domains and technologies. They use a 4-pronged approach which involves choosing the right enablers, techniques, reporting models and tools to discover defects early in the test life cycle and accelerate time to market. 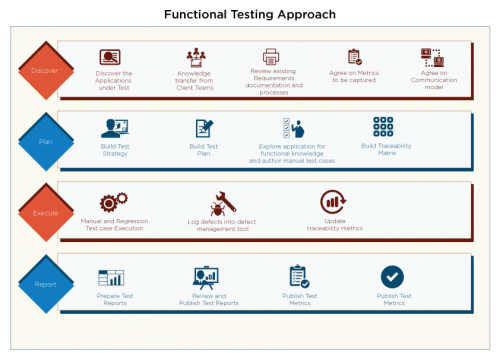 Automating regression testing frameworks with all leading automation tools such as Rational Suite, Mercury Interactive’ s QTP, Load runner, WinRunner, OpenSTA, etc. Cigniti’s Functional Testing Methodology incorporates inputs related to business risks, project risks, and technology risks to ensure most optimal testing and save costs and time. 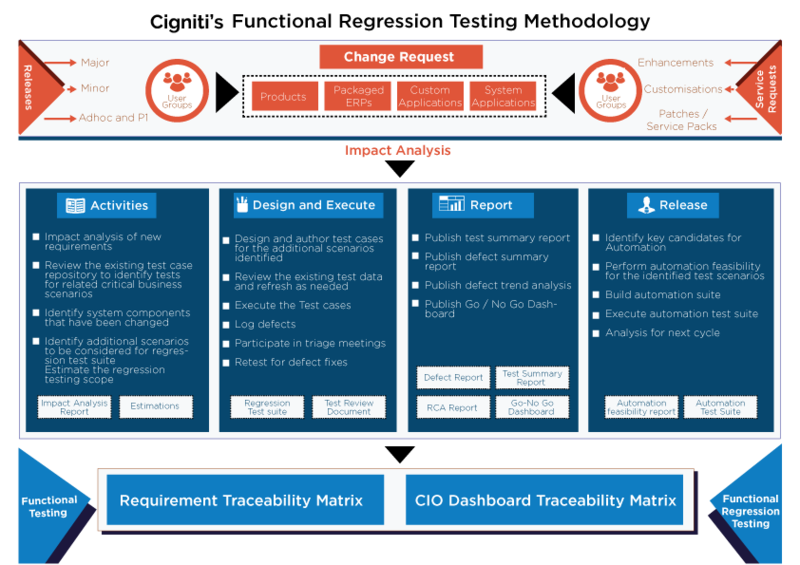 Cigniti’s Requirements Assessment Framework (RAF) identifies the ambiguity defects in the requirement phase of the Software Test Lifecycle. Cigniti’s Test Requirements Traceability Matrix (TRTM) ensures bi-directional traceability. 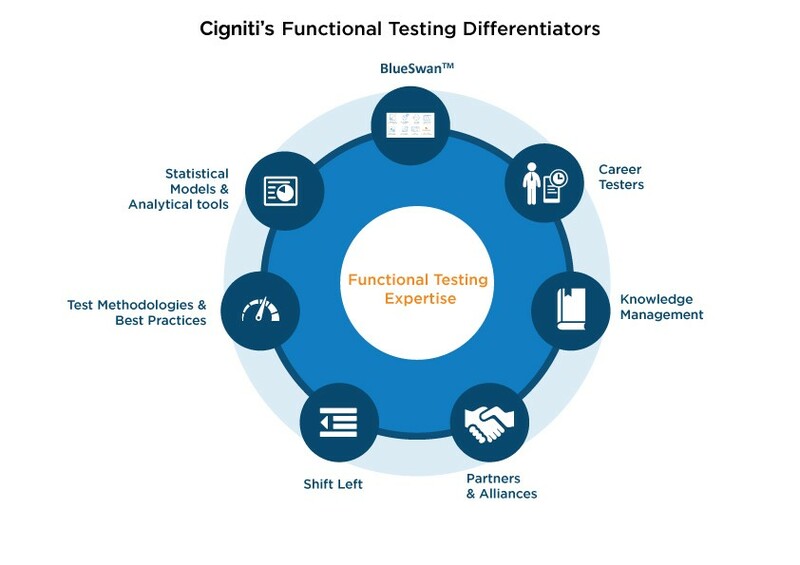 Cigniti’s functional testing specialists adopt proven scientific techniques while performing in-depth black box testing including Boundary Value Analysis, Equivalent Partition, and Paired Testing. 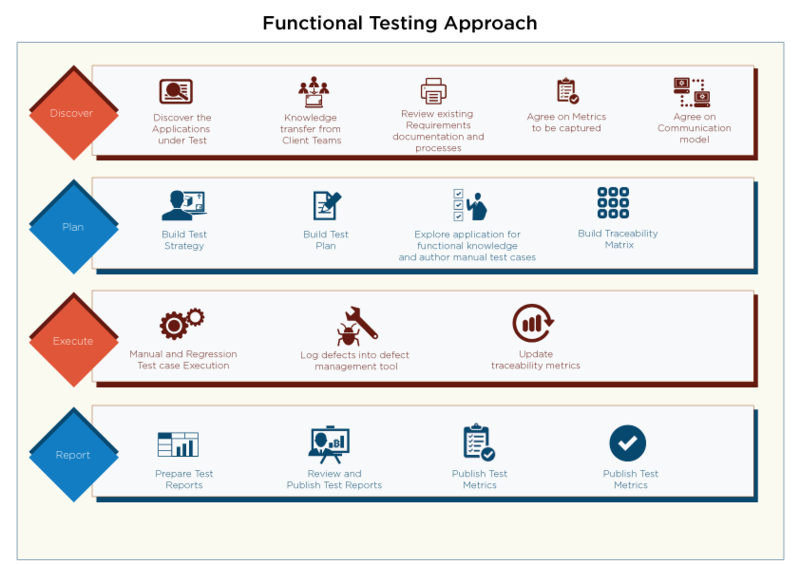 Comprehensive Test Metrics ensure absolute transparency and visibility with unit testing metrics, defect trends metrics, testing productivity metrics, process quality metrics, testing progress metrics, and Quality of the application/product under test. Daily, weekly, and monthly status reports with in-depth analysis of test execution status and defects. These reports leverage a variety of models and techniques to publish actionable reports and dashboards. Find out how we helped various Fortune 500 companies with their Functional Testing needs. Functional testing is a critical component in the race to bring software applications to market quickly. Along with a right testing approach and strategy, it is also needed that best practices of functional testing are being followed before the software is deployed and released to the market. Cigniti has partnered with various tool vendors to automate the Functional testing needs of businesses. This helps us offer additional value to our clients across verticals. Cigniti has performed functional and regression testing for a number of clients across domains. Below is the partial list of clients who trust Cigniti for their functional software testing needs. The global Specialized Testing Services (STS) was a high growth industry valued at ~$15.7bn in 2014 and projected to grow at ~+12% during the 2014-2019 period. Functional testing represents 75% of STS spending.